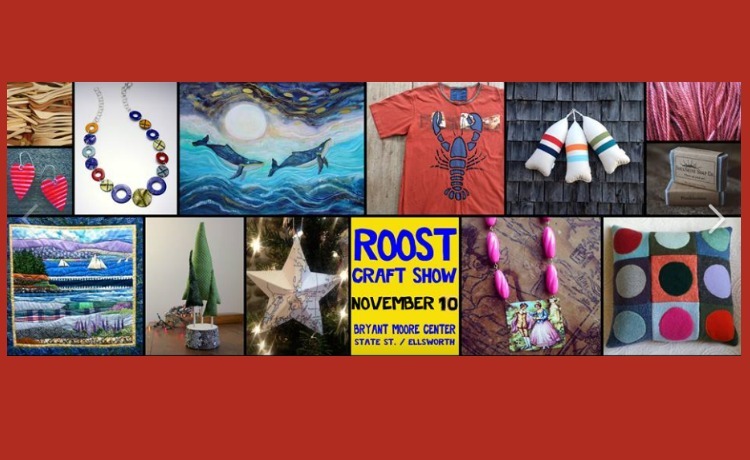 Blueberry Bay Beads are vibrant glass beads joyfully handcrafted on the Coast of Maine. My beads are crafted by heating a rod of glass in a torch flame and wrapping the molten glass around a mandrel. 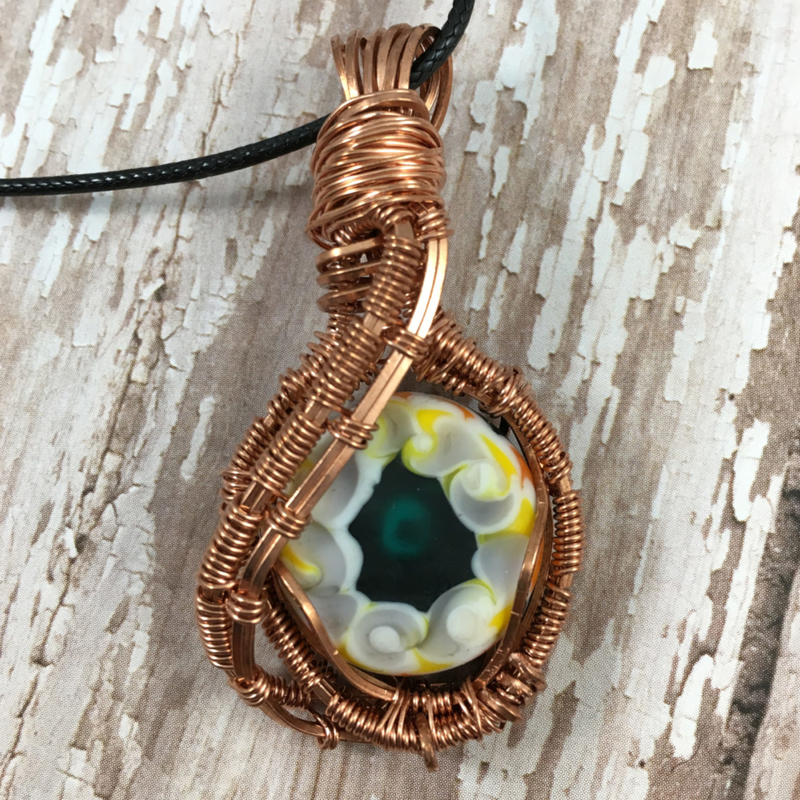 Additional layers of colored glass are layered on to the bead to create detailed designs. 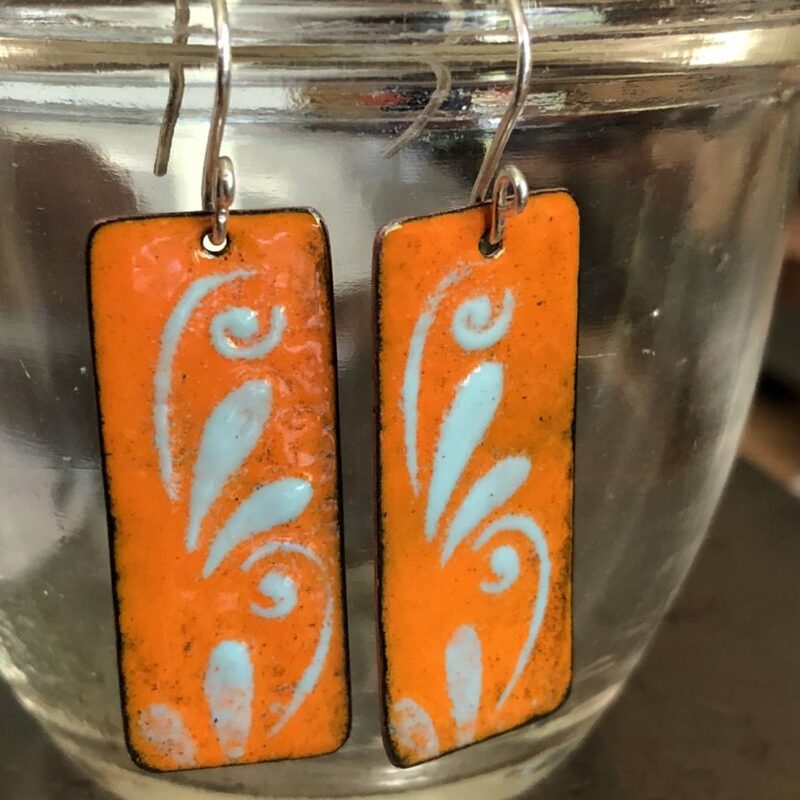 Once the bead is complete, it is placed into an annealer, which controls the cooling process of the glass preventing cracking, adding strength and durability to the beads. 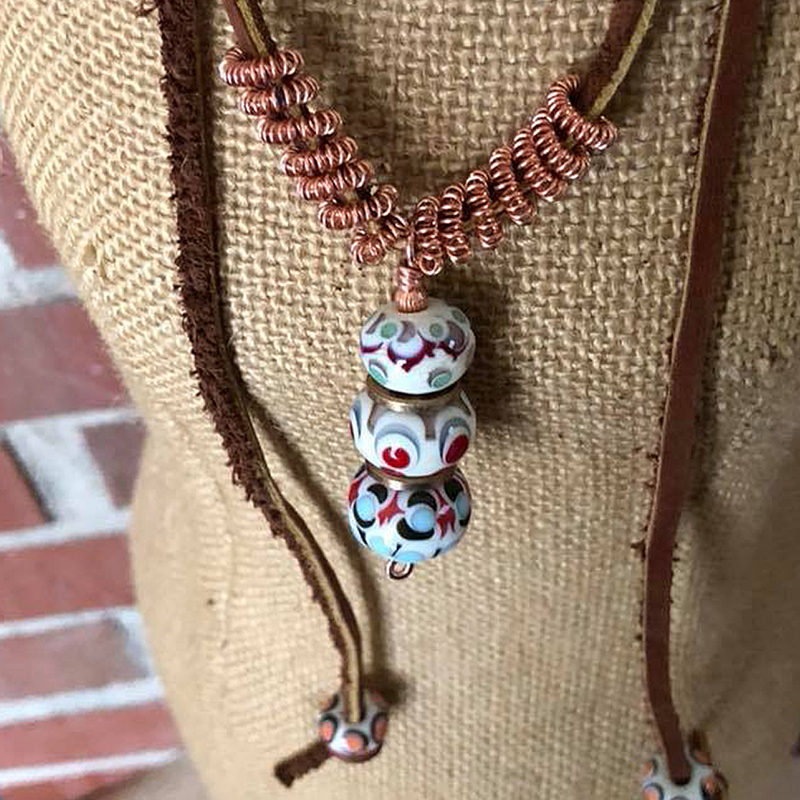 The completed beads are used to create copper and sterling silver wire wrapped jewelry that showcases the free-spirited, vibrant beads. 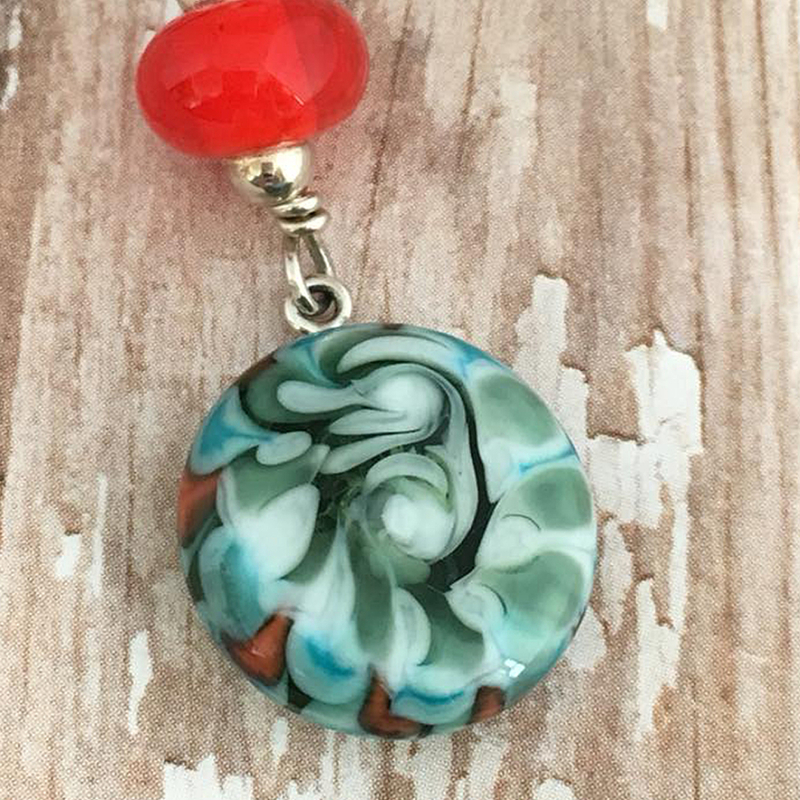 I use mainly Effetre murano glass from Italy to make my beads, but I can’t resist some of the great colors produced by CiM ( Creation is Messy ), a Seattle based company with a small, privately owned factory for glass production in China.